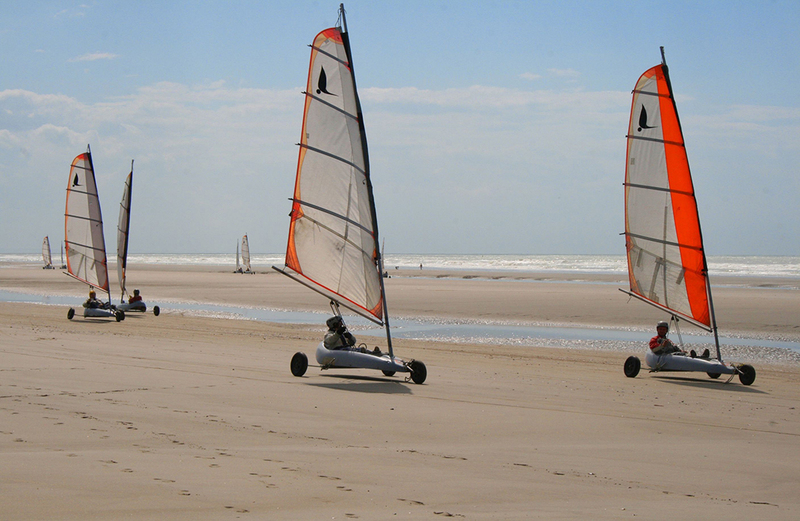 Sand yachting is suitable for everyone, from youngsters to senior citizens. 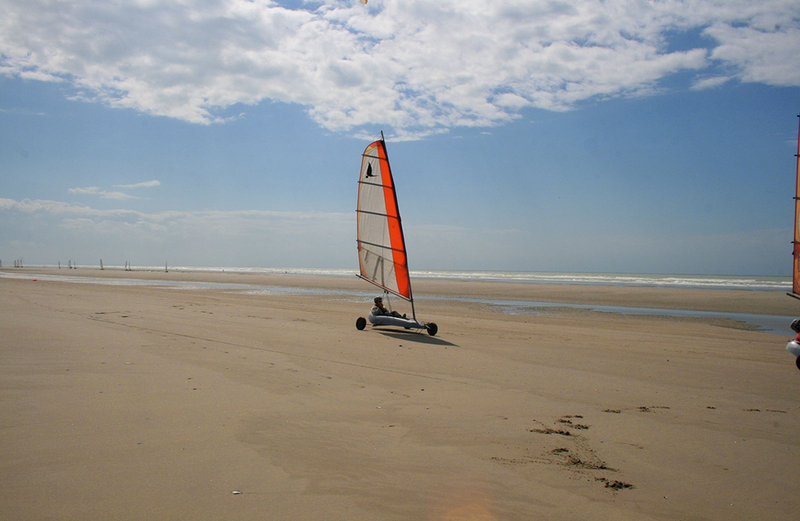 It's also a great way to explore the coast as far as Le Marquenterre. With the wind in your sail, firmly wedged in the hull, you'll enjoy some wonderful sensations! Are your children over 7? 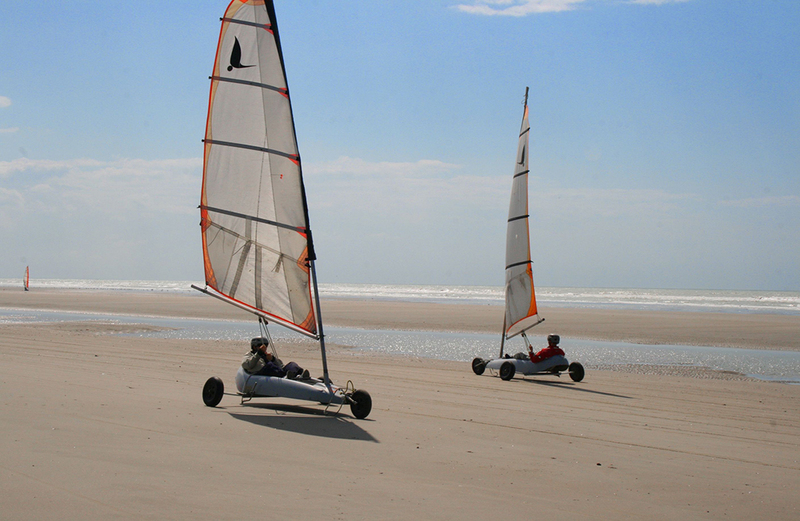 If so, here's a great activity for all the family - sand yachting. It's dead easy and can be learned quicker than riding a bike. Put yourselves in the hands of the instructors, real professionals and, above all, very nice people! Be sure to book ahead to be sure of a place and to be kept informed of weather conditions. Once you're on the sand, follow instructions and take care you're not overtaken - children pick these things up very quickly, you'd be surprised! Open to everyone, from 7 years old. Discover the joys of sand sailing with our certified instructors. 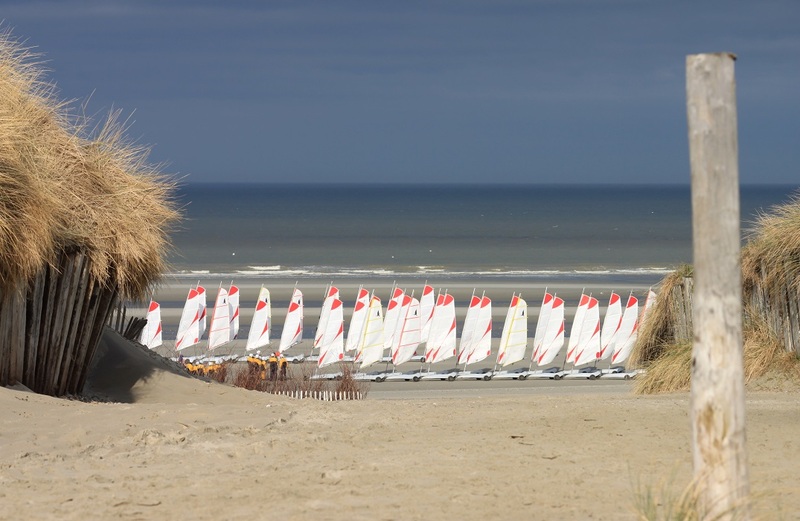 After an initiation period on a marked trail, your guide will take you to discover the Marquenterre area with over 25 km of wild beaches from the Baie de l'Authie to the Baie de Somme. For real fans, technical extras will be added to improve your level and enable you to practice this sport independently. Then, in a natural and protected setting, enjoy a well-earned drink in our bar-restaurant with its terrace with sea view. New activity: tyre rides!